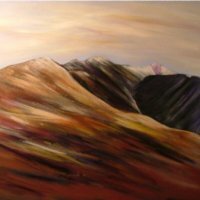 Welcome to the website of Cumbrian artist, Jean Atkinson. Jean lives and works in north Cumbria, working mainly in acrylics on boxed canvas. 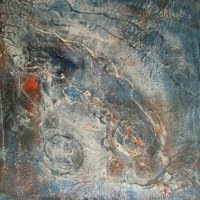 She regularly exhibits in local galleries and venues, from where her work can also be purchased. 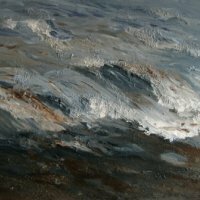 Jean Atkinson's landscapes and seascapes often take inspiration from the Lake District and Solway Firth, both areas being close to her home. Her work also includes abstract and floral subjects, as well as some inspired by visits to Scotland's isles and west coast. 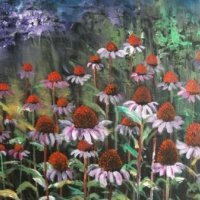 She hopes you enjoy her paintings, and her website shows examples of both new and past work.